‘Stranger Things’ Season 2 Sets October Premiere With First Poster! Who needs Comic-Con? 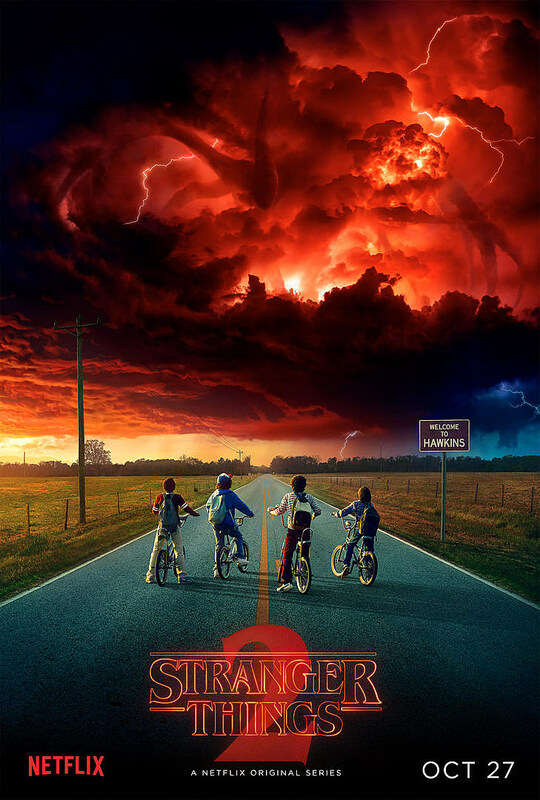 Netflix’s Stranger Things may debut new looks at Season 2 from their San Diego perch, but our first poster for the new big bad is right here, along with an earlier October premiere than expected. Elsewhere of Stranger Things Season 2, we know the next chapter will move from its summer perch to a Halloween 2017 premiere. The story will pick up in the fall of 1984, while creators Matt and Ross Duffer have teased a James Cameron sequel influence in crafting the second chapter. We’ll also learn more about the Upside Down, as teased in our exclusive concept art piece, while Sadie Sink and Power Rangers star Dacre Montgomery have been added to the cast in regular roles, along with Brett Gelman, Goonies alum Sean Astin, Aliens baddie Paul Reiser and actress Linnea Berthelsen. The full list of directors has also been revealed, including Finding Dory helmer Andrew Stanton. We’ll learn more of Stranger Things Season 2 in the coming weeks, so stay tuned for additional details, and check out the first teaser below. Source: ‘Stranger Things’ Season 2 Sets October Premiere With First Poster!